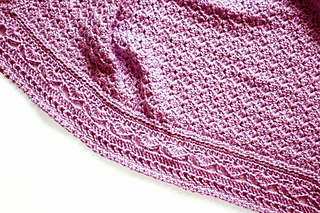 This pretty blanket is full of subtle texture and an interesting edging. 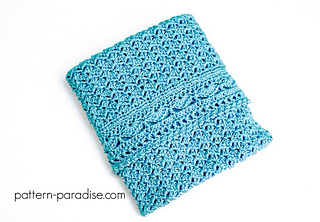 Perfect to welcome the new little one! 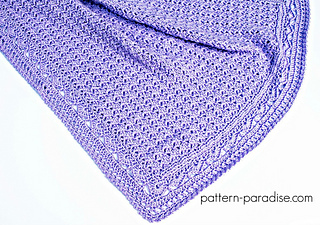 I sized this as a baby blanket at approximately 32” x 34”, but it is easy to increase/decrease sizing. 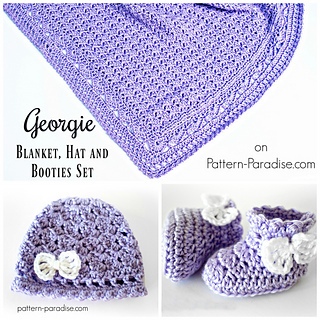 This pattern includes instructions for the blanket only, see the coordinating Hat and Booties Set HERE!